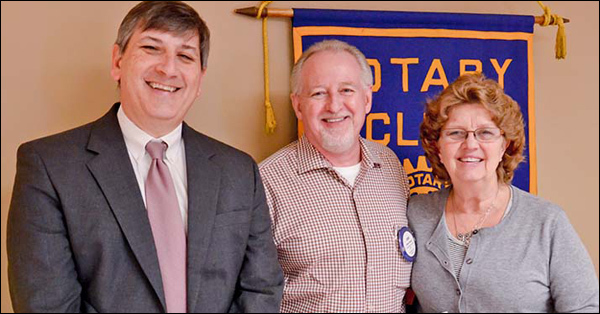 Paulding Rotary News & Events Hiram & Dallas Ga.
Paulding Wellstar hospital welcomed its new president John Kueven this past March. 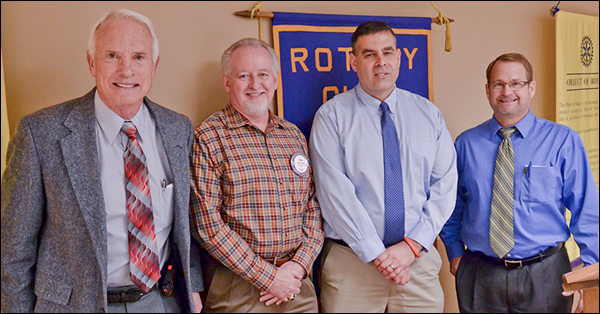 This past week he visited the Paulding Rotary Club as guest speaker. Mr. Kueven updated everyone on the current strengths of Paulding Wellstar hospital and outlined his plan to extend the facilities outstanding achievements to achieve a safety record in the top 10% nationally. Jessica Moore the Executive Director of McKenna Farms gave everyone an update and progress report. McKenna Farms has been providing therapy since 2001. Over 500 children receive therapy here on a weekly basis. They currently have 25 therapists on staff and a total of 45 employees. Therapy with horses has been extremely successful in providing both physical therapy as well as emotional and occupational therapy. The Invitational Christmas Parade for 2017 was a great success thanks to the participation of our local community, those businesses and individuals who participate, and our co-coordinators. 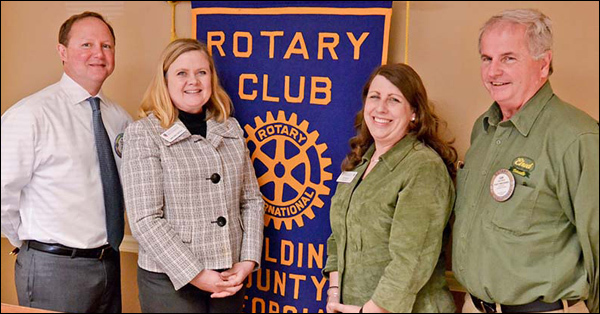 The Rotary Club welcomed Shirley Smith and Vicki Paris from Paulding Christmas along with, Stacy Hamby and Amy Scheid from the Paulding County Chamber of Commerce. Here in Georgia young girls, and boys, are being lured via social media (such as Facebook, Twitter, Instagram, Kik, or any other web-based application) into a very dark and sinister trap. Mrs. Crawford explained that this is a parents' worst nightmare and can easily happen right under their noses. UGA Extension office for Paulding offers a wide variety of opportunities including conservation and management of natural resources, agricultural programs water quality and youth leadership. The 4H is investing heavily in our youth. 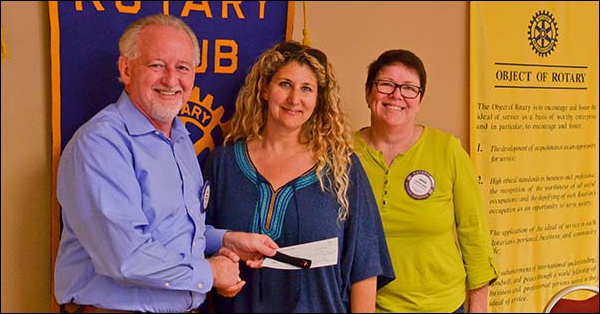 Their ultimate goal is to produce better citizens through clubs and after-school activities that provide education and a wide variety of meaningful activities in science-based learning programs. 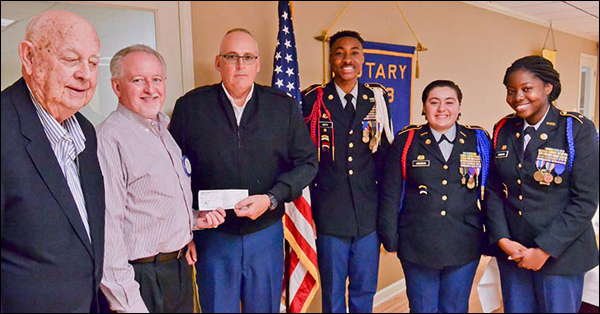 Paulding County Rotary club welcomed Hiram JROTC Lieutenant Cmdr. Moyse was joined by three of his top cadets, Kace Cochran, Jeremiah Smith, and Chichi Ogbuagu. Each cadet took the podium and introduce themselves. All the high school cadets communicated the advantages of participating in the JROTC program. It attributed newfound skills and confidence with which they plan to pursue their future. John Grant presented Cmdr. Moyse $1000 check to benefit the Hiram JROTC program. 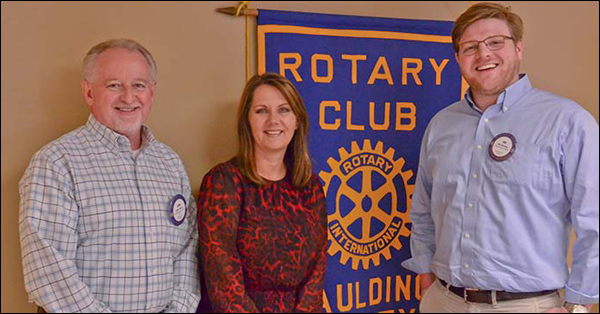 Dr. Kathryn Melton visited the Paulding County Rotary Club at the February meeting. 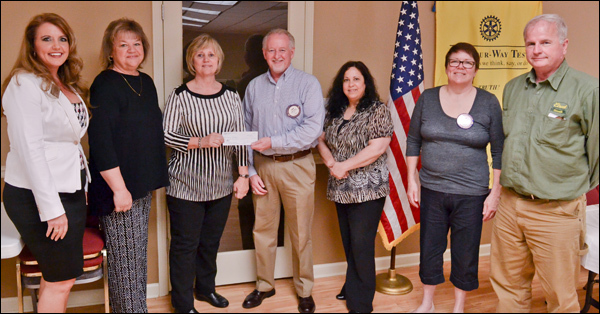 Dr. Melton took the podium and thanked the Rotary Club members for their continued support of the Shepherd's Rest Ministries. 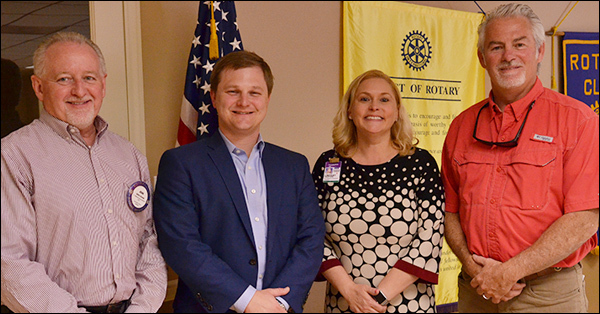 Paulding County Rotary Club president John Grant welcomed all visitors to the Rotary club meeting and asked Ford Thigpen to introduce the guest speakers. Ford introduced George Jones, the new Paulding County Department of Transportation Director and Scott Greene who is now the Director of Operations for the county.